Cherokee, NORTH CAROLINA – April 2, 2015 – The eleventh season of the WSOP Circuit will wrap up under the bright lights of the ESPN cameras with the 2015 WSOP National Championship – an official WSOP gold bracelet event and a share of $1,000,000+ in prize money on the line – from July 29-31, 2015 in North Carolina at Harrah’s Cherokee Casino Resort. 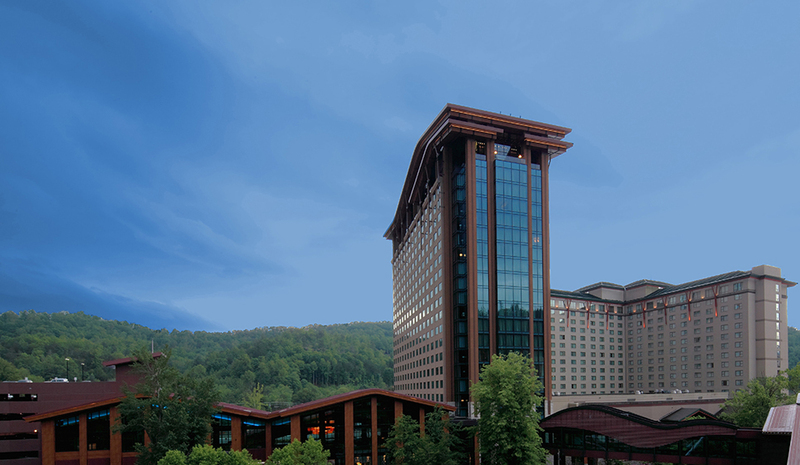 Harrah’s Cherokee will host a WSOP National Championship Series from July 23-August 2, with thirteen different buy-in events, plus the National Championship freeroll. Two of these events, a $365 buy-in No-Limit Hold’em event on July 24 & 25 and a $135 buy-in No-Limit Hold’em event on July 26, will each award the victor one of the remaining seats into the National Championship, in addition to that tournament’s allotted prize money. The entire 11-day event schedule can be found here. It includes $1,125, $3,250 & $5,300 buy-in events. With land-based stops remaining in Iowa, New Orleans, Connecticut and at Harrah’s Cherokee in the coming months, eight players are still to be added to the automatic qualifiers list (44 entries total), with 56 additional players scratching and clawing their way in via at-large bids for accumulating the most points on the 20-stop WSOP Circuit tour that began back in July, 2014 in Palm Beach, Florida and runs through the Foxwoods Resorts stop from May 13-24, 2015. With a total of 100 players eligible for qualification, the World Series of Poker today announced how the final four of the automatic qualifier seats will be awarded. Harrah’s Cherokee Casino Resort will host the WSOP National Championship Tournament Series from July 23 to August 2 with two of the live tournaments awarding the winner of each event an automatic seat into the 2015 WSOP National Championship. On Friday, July 24 at 5:00 pm, Flight A of Event #3 on the schedule features a $365 buy-in No-Limit Hold’em re-entry tournament, with three starting flights. Flights B and C will take place on Saturday, July 25 at 12 noon and 5 pm respectively. These three flights will combine on Sunday, July 26 and play to a winner, with that winner being awarded an automatic seat into the National Championship, in addition to the first place prize money. On Sunday, July 26, at 3:00pm, Harrah’s Cherokee will then host a $135 “last-chance” two-day structured live No-Limit Hold’em tournament, with the winner taking home the lion’s share of the prize pool, but also the final seat awarded into the 2015 WSOP National Championship (1 seat). This will bring the list of 2015 WSOP National Championship players to 100, who will all have earned their seat and shot at the title. WSOP.com real-money-poker websites in both Nevada and New Jersey will host an online freeroll tournament in their respective states on Wednesday, July 8, 2015, where the winner of each tournament will automatically qualify (2 seats total) to the 2015 WSOP National Championship. To participate in the freeroll, players must simply finish in the Top 5 of any of the WSOP.com Online Championship event in the preceding 30 days this tournament series is offered online (further details on the WSOP.com Online Championships to be released at a later date). The WSOP Online Championships in both Nevada and New Jersey will each feature 90 events total – 3 events a day for 30 days – with up to 450 people qualifying for the freeroll in each regulated online poker state. This promotion is known as the 2015 WSOP National Championship Seat Freeroll. Winners of these seats will receive automatic entry into the National Championship, three nights hotel stay, plus a travel stipend. In addition, the 100 players atop the WSOP World Rankings (see here) are eligible to buy-into this event for $10,000 as a result of their performance at all WSOP gold bracelet events over the previous two calendar years. Any of these players that do buy-in will have their $10,000 directly added to the prize pool rake-free along with the $1,000,000 being put up by the WSOP for this event. The 2015 WSOP has no bearing on this final list of qualifiers. These 100 players are the final list of eligible qualifiers for the 2015 WSOP National Championship. So the final list of entries for the 2015 WSOP National Championship will fall between100-200 and the prize pool will end up between $1-2 million. The three-day 2015 WSOP National Championship No-Limit Hold’em tournament will get underway at 12 noon on Wednesday, July 29 in the Harrah’s Cherokee Events Center with all eligible players. ESPN cameras will be on hand to cover the action with the final table taking place on Friday, July 31 in the Harrah’s Cherokee Event Center. ESPN will televise this event on Tuesday, August 18 at 9:00 PM ET, with two-hours of coverage planned. The defending champion is Germany’s Dominik Nitsche, who entered last year via the World Rankings qualification $10,000 entry fee and walked away with $352,800 and his second WSOP gold bracelet (He now has three). Nitsche currently sits 21st in the World Rankings and therefore is eligible to buy-in again this year. Each WSOP Circuit stop Main Event winner received an automatic berth into the WSOP Circuit National Championship. Automatic seats also go to the “Casino Champions” at each participating venue. A Casino Champion is defined as the player at each stop who accumulates the most points throughout the 12-event gold ring schedule. The 2014-15 WSOP Circuit Tour features 20 stops throughout the United States that began on July 31, 2014 and run through May 24, 2015. The World Series of Poker (WSOP) Circuit Events are a series of poker tournaments hosted throughout the United States beginning in July each year, and culminating the following May. The National Championship, a qualifying tournament with a $1,000,000 prize pool provided by WSOP and televised on ESPN awards the victor a WSOP gold bracelet. WSOP Circuit Events are designed to give the recreational and amateur player an opportunity to participate in the WSOP experience at a more affordable price point and with less of a time commitment than the traditional WSOP in Las Vegas. Each stop features 12 official events in 12 days, including a $1675 buy-in No-Limit Hold’em Main Event – the most expensive buy-in event on the 12-event schedule at each stop. Official WSOP Circuit events range in buy-in from $365-$1675 and award a prestigious WSOP gold ring to each victor. These poker tournaments are designed to reach a winner within two playing days, with some events even structured to complete in one day. In 2014-15, the WSOP Circuit season consists of 20 unique stops all tied together by a cumulative points system that awards points based on finish in individual events. A season-ending National Championship is held each July with the Top 100 qualifiers. 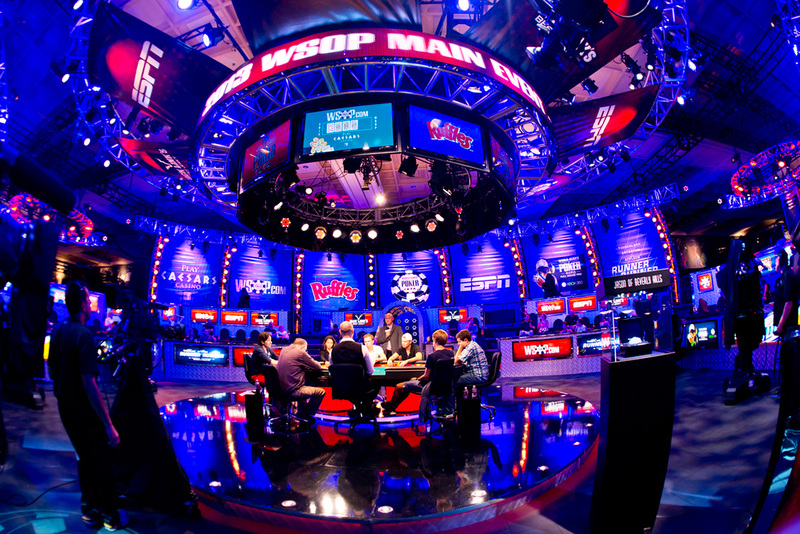 The winner of each stop’s Main Event (the only three-day structured event) gains automatic entry into the season-ending WSOP National Championship, as does each stop’s Casino Champion – the person who accumulates the most points throughout the 12 official events at a stop. Two players at each stop earn automatic entries into the season-ending championship, with the remaining players being made up of at large qualifiers whom have accumulated the most points throughout the Circuit season. Players who finish within the top ten percent of the field are typically awarded prize money on an escalating scale until there is one player who has captured all the chips. That victor wins the largest share of the prize pool, a WSOP Circuit gold ring and points towards national championship qualification. The WSOP Circuit Events are a regional offshoot of the longest-running, largest, richest and most prestigious gaming event in the world, dating back 45 years to 1970 – the famous World Series of Poker. This marks the eleventh year the WSOP Circuit Events have been held. They were initially established by Caesars Entertainment (then Harrah’s Entertainment) after its purchase of the WSOP brand in 2004 as a way to bring the WSOP experience to Harrah’s-owned properties throughout the U.S. In the inaugural season (2004-05), the WSOP Circuit featured five stops – Atlantic City, Lake Tahoe, Las Vegas, San Diego and New Orleans. Now, with 20 stops, the WSOP Circuit visits 14 U.S. states and cumulatively features more players participating in it than the Las Vegas version of the WSOP. Caesars Interactive Entertainment, Inc., (CIE) owns the WSOP and the WSOP Circuit Events. For more information, visit www.wsop.com/2014/Circuit/ or www.blog.wsop.com or follow us on Twitter at www.twitter.com/wsop.